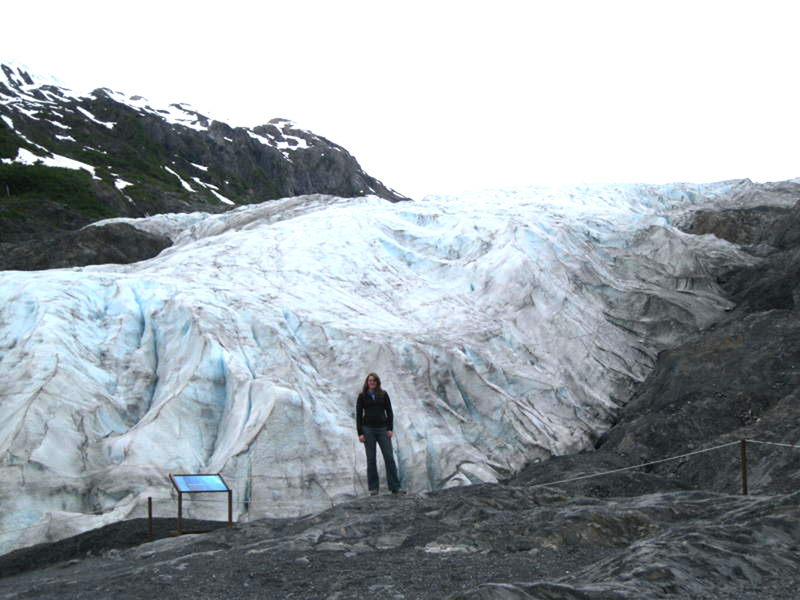 Extend your vacation with an amazing Alaska glacier tour. Take a glacier cruise into the much revered Kenai Fjords National Park out of Seward Alaska where you will see stunning glaciers, marine life, and spectacular scenery. We have a number of different glacier tour options to fit your preferences. 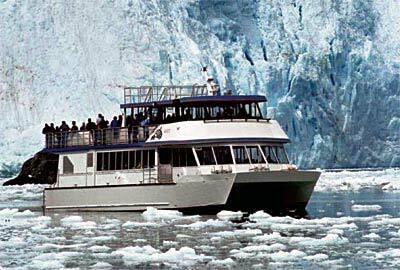 There are day glacier cruises, half day glacier cruises, whale watching cruises and much more. One of the really popular options is the 7.5 hour dinner glacier tour that serves prime rib and Alaskan salmon. 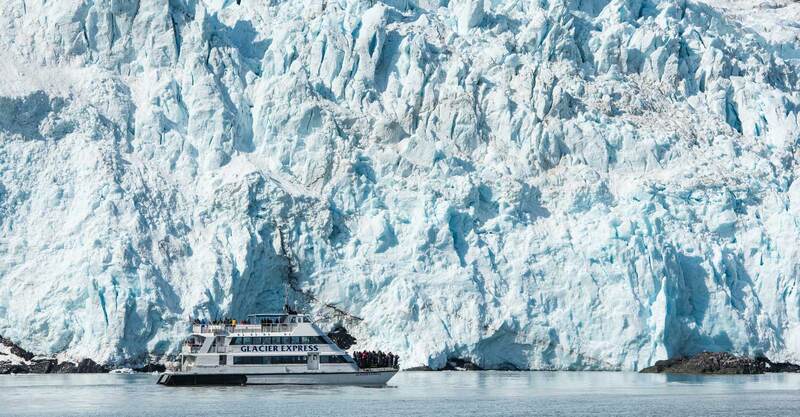 Year after year, glacier cruises and marine tours are one of most talked about adventures among our guests. 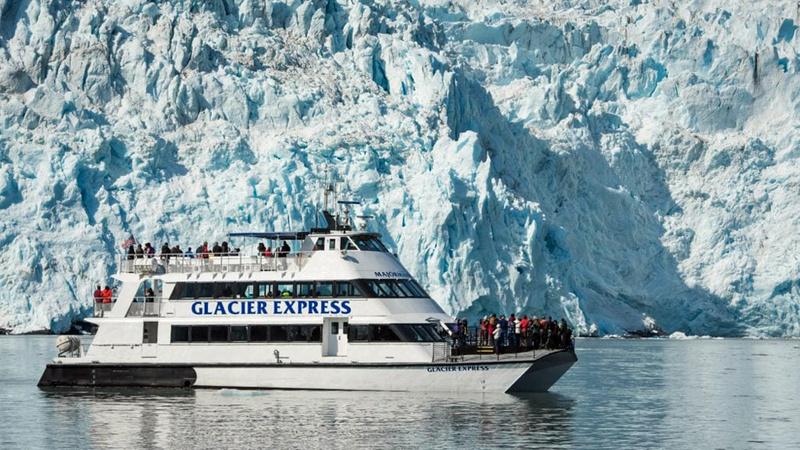 You won’t be sorry you booked an Alaska glacier tour! 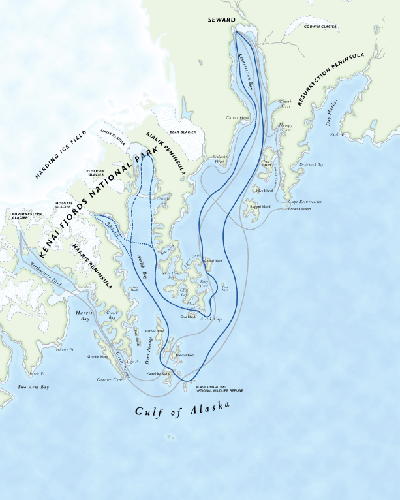 If you want to take an Alaska glacier cruise or marine tour but have other things to do in the same day there are options. A three and a half hour marine cruise in Resurrection Bay might be the perfect way to start or finish off the day. On this cruise keep your eyes looking for whales, sea otters, Steller lions, and lots more sea life and sea birds. This tour last about 3.5 hours on the double decked Orca Song. This cruise takes place on the 87 foot catamaran Glacier Express; a vessel that has three levels, and serves a noon buffet with Alaska salmon, prime rib, drinks, and a dessert bar. On this cruise you will have a Nation Park Ranger that will give you step by step history, including ecology and geology, and will take questions. This cruise travels about 120 miles as you see 2 active tidewater glaciers, whales, Steller sea lions, sea otters, puffins, eagle, and lots of sea birds. This tour lasts for 7.5 hours. Personally, our family never gets tired of the beautiful snow-capped mountains and blue ice of the Alaskan glaciers you will see on this all day adventure out of Seward, Alaska. Call today and lets talk Alaska glacier tours!